'Although it's difficult to believe, the sixties are not fictional; they actually happened' (Author's Afterword)Stephen King, whose first novel, Carrie, was published in 1974, the year before the last US troops withdrew from Vietnam, is the first hugely popular writer of the TV generation. 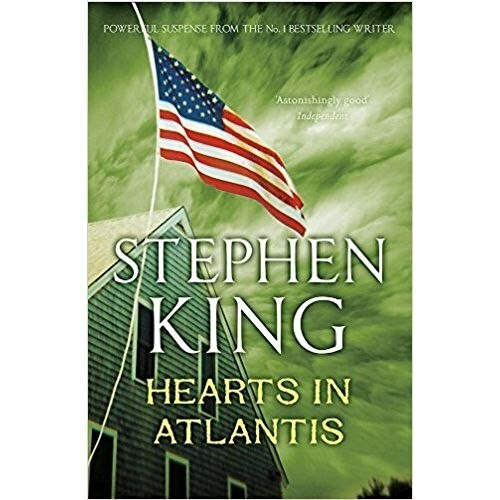 Images from that war - and the protests against it - had flooded America's living rooms for a decade.Hearts in Atlantis is composed of five linked stories set in the years from 1960 to 1999. Each story is deeply rooted in the sixties, and each is haunted by the Vietnam War.Full of danger, full of suspense, most of all full of heart, Hearts in Atlantis will take some readers to a place they have never been...and others to a place they have never been able to completely leave.